Shanghai's cruise liner industry may face a bottleneck after the rapid development of the last decade, mainly due to the lack of new routes and repeat customers. 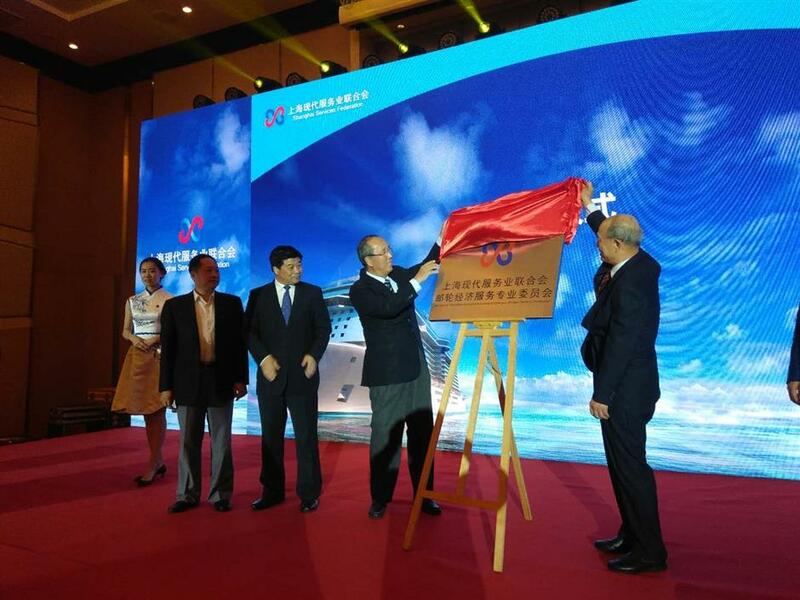 Zhou Yupeng (second right), chairman of Shanghai Services Federation, unveils a specialized committee to serve the city's cruise liner industry during the Shanghai Cruise Liner Industry Development Forum in Hongkou District on Tuesday. 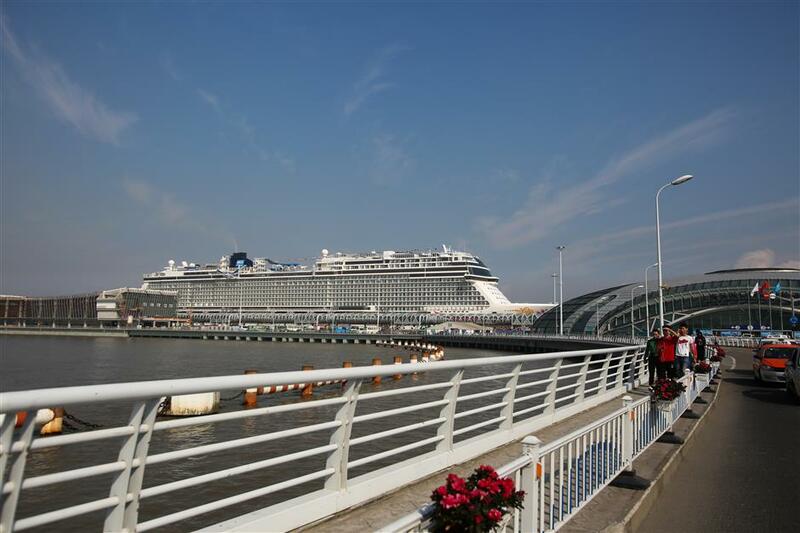 Most cruise liners setting off from the city's two ports at the North Bund in Hongkou and Wusongkou port in Baoshan sail to several regular destinations in Japan and South Korea, said Huang Haidong, general manager with the development company of Shanghai Port International Cruise Terminal. "These short and fixed routes mean few customers would take the same cruise liner for a second time," Huang told an industrial forum near the cruise liner port in Hongkou District on Tuesday. Industrial leaders, researchers and experts attended the Shanghai Cruise Liner Industry Development Forum to offer suggestions on the cruise liner economy. To better boost the city's cruise liner industry, the Shanghai Services Federation established a specialized committee to serve the cruise liner industry. The Shanghai Port International Cruise Terminal in the North Bund of Hongkou District. 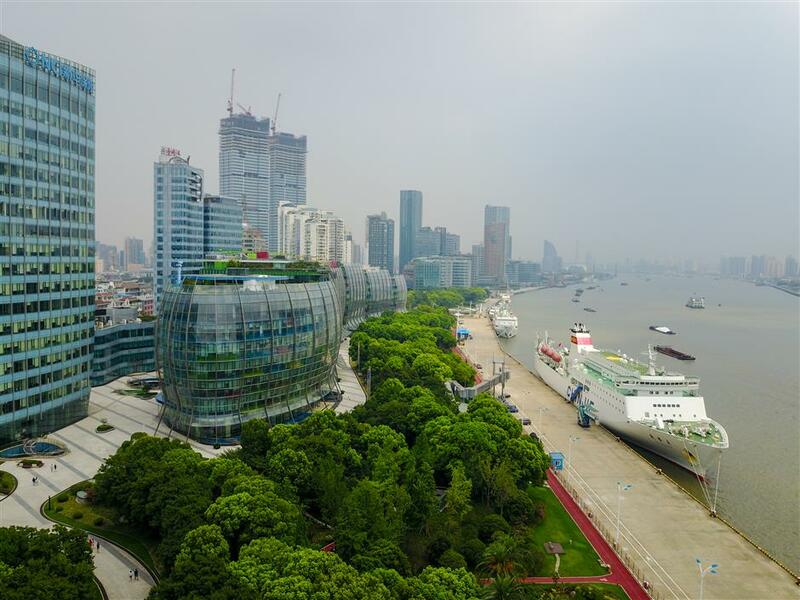 "The development of Shanghai's cruise liner industry has entered a new era to focus more on quality rather than a rapid increase in passenger numbers," said Zhou Yupeng, chairman of the federation. China’s cruise industry started in 2006 when Costa Allegra became the first holiday cruise to dock at Shanghai Port International Cruise Terminal. That year Shanghai received 59 international cruises and saw more than 80,000 passengers. The number surged to 466 ships and nearly 3 million passengers last year, accounting for nearly 60 percent of China’s total number of cruise liner passengers. Wusongkou terminal became the biggest home port for cruise liners in Asia, beating Barcelona to become the world’s fourth-largest in 2016, according to the federation. However, the cruise liner industry has made little contribution to the city's economy, because local ports are mainly serving foreign cruise liner companies and still operating at the low-end of the industrial chain, said Xiao Baojia, deputy president of the Shanghai Maritime University and the council of Asia Cruise Academy. Zeng Ji, a professor with the university, proposed an increase in investment for research on cruise liner manufacturing to ultimately build China's first domestically developed cruise liner. Only a few Chinese cruise liner companies are struggling in the Chinese market and can hardly compete with the fleets of foreign cruise liner giants such as Royal Caribbean and Costa, Huang Haidong added. The Wusongkou International Cruise Terminal in Baoshan District.